Surface Savers is a locally owned and operated business servicing Central Illinois for over 17 years. We specialize in bathtub and shower refinishing, recoloring and repair. We are able to take your old tub and make it look new again saving you hundreds of dollars on replacing the tub and hundreds more on having your old tub removed and the new tub installed. We are able to fix chips, holes and cracks in bathtub and shower surfaces. 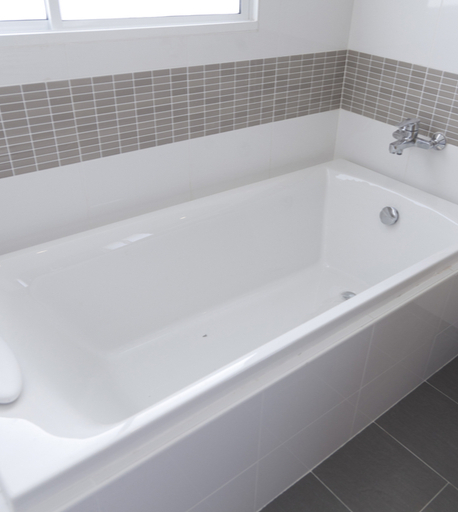 We offer repair panels for badly cracked tub and shower floors. The most important thing we do is show up on time and do what we say we’ll do! Dale Fletcher the owner is who completes all the work so it is done by an expert and when we show up at your door it’s not a technician showing up at the door it’s the owner of the company. Contact us today by calling 309-657-5872! Copyright © 2017 Surface Savers.